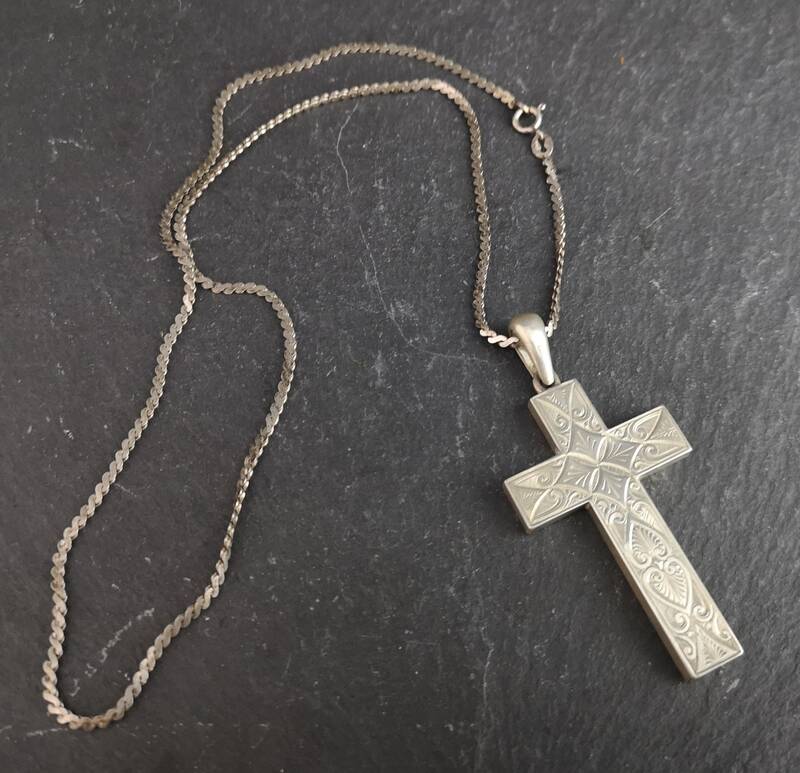 A beautiful large Victorian sterling silver crucifix pendant on a silver chain. 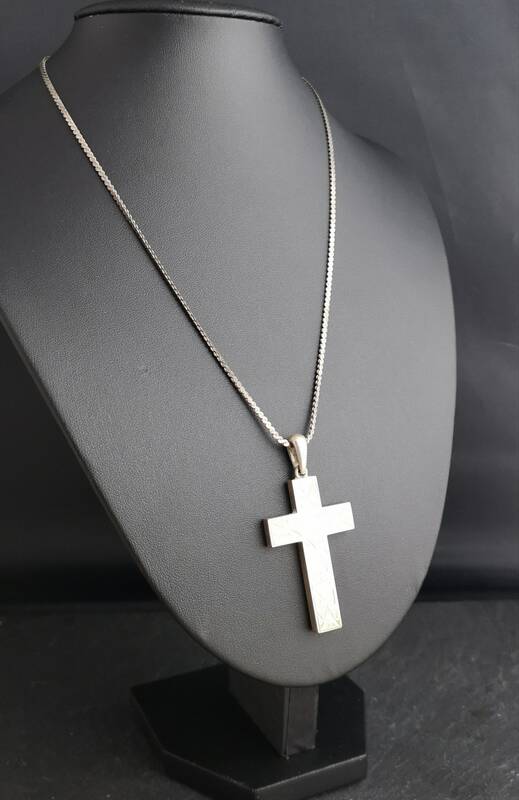 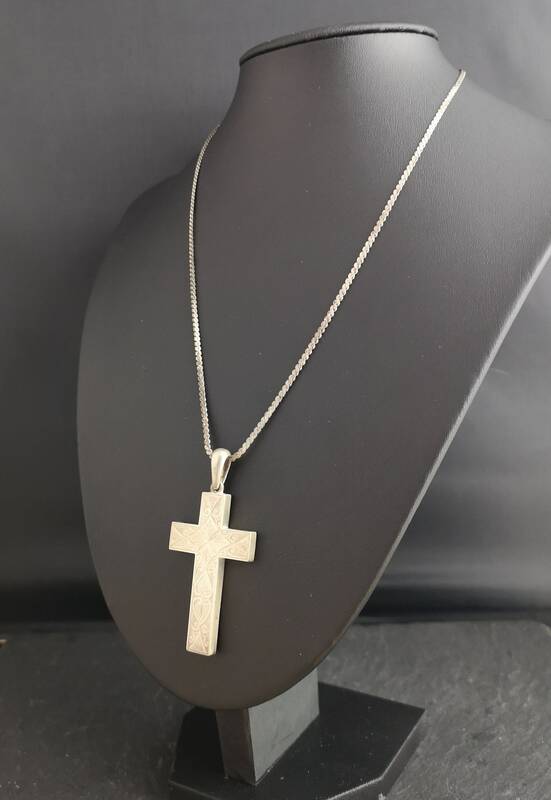 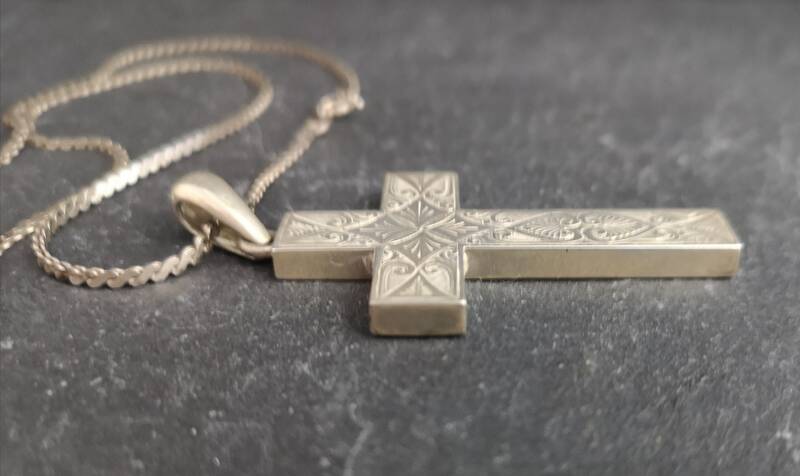 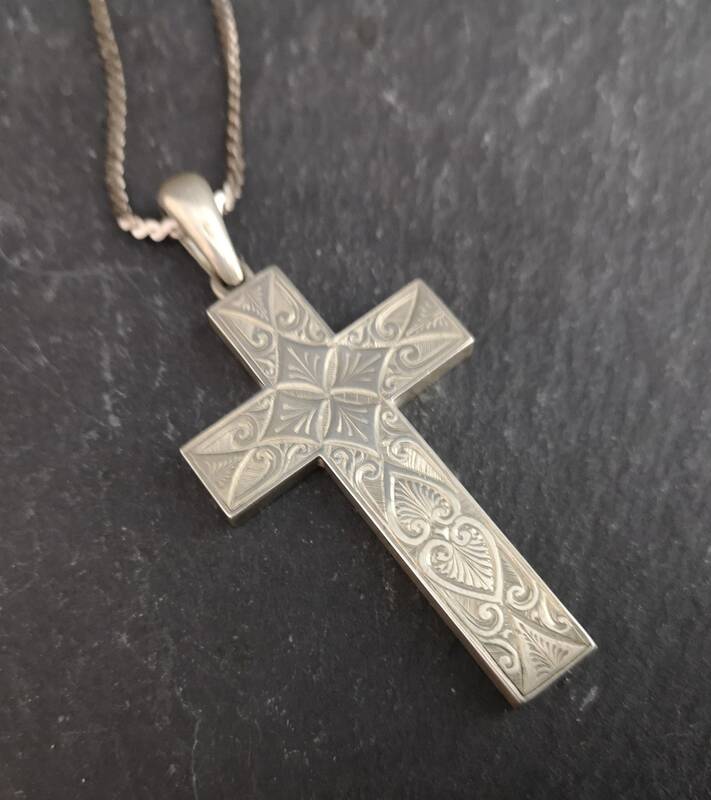 The Cross is beautifully bright cut engraved on the front and fully hallmarked on the reverse along with an inscription. 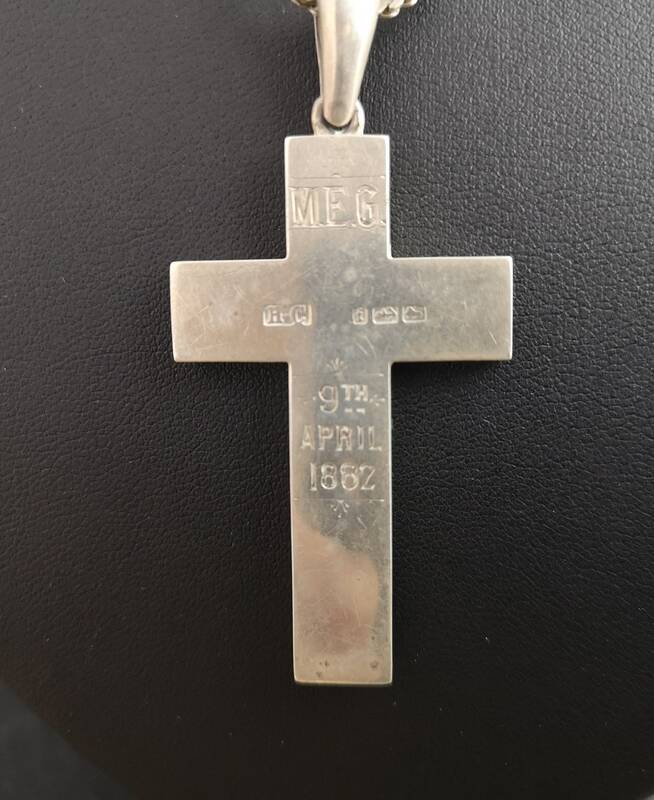 The inscription reads; M.E.G, 9th April 1882. 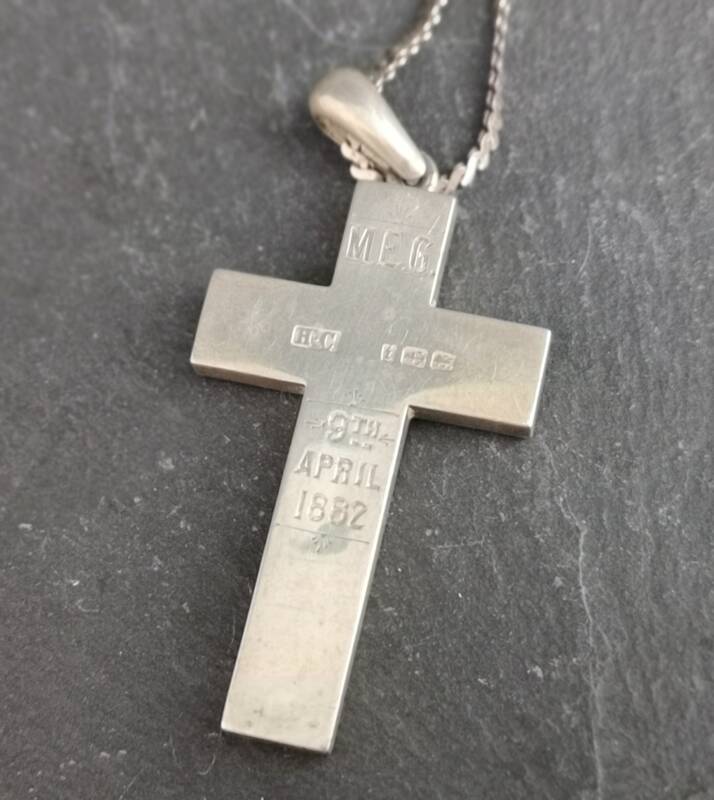 Hallmarked for Birmingham, 1883, maker Henry Cook. 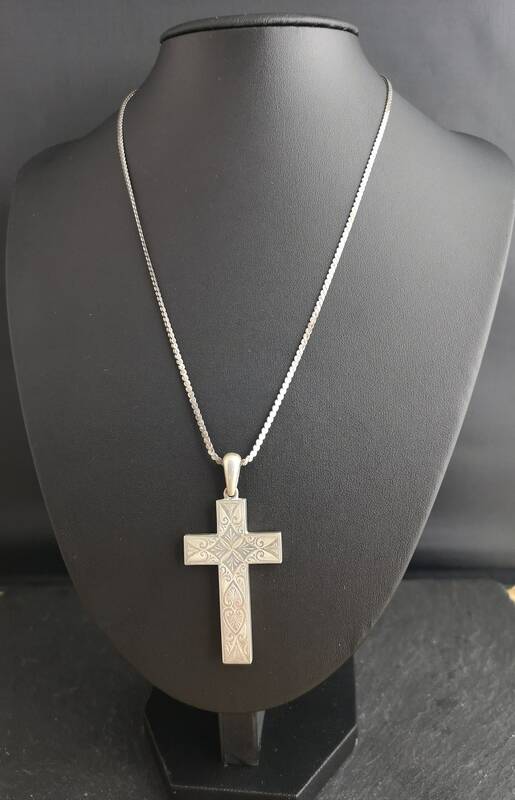 The chain is a later sterling silver Italian hallmarked snake chain, hallmarks substantially worn. 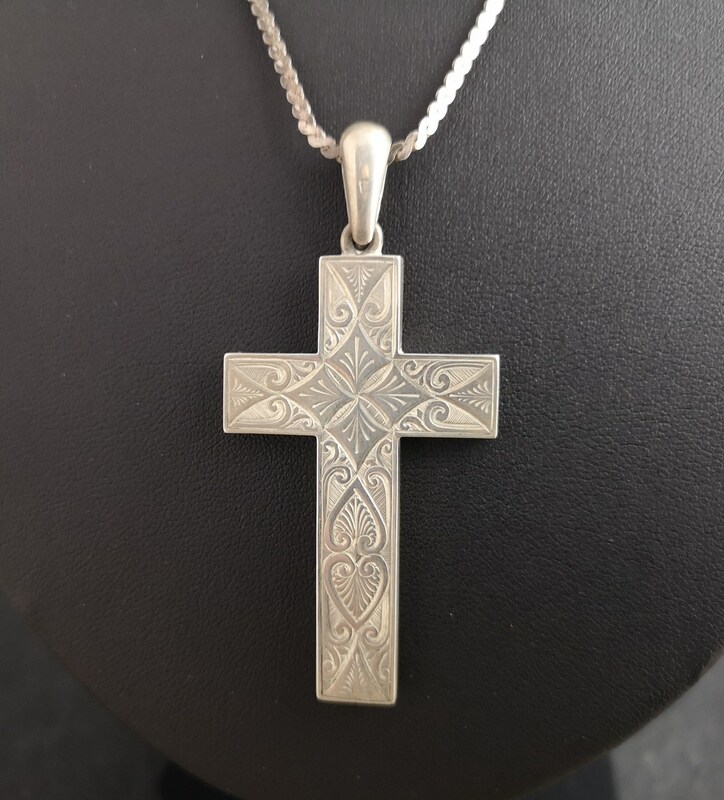 Overall good condition, cross has some light surface scratches on the reverse. 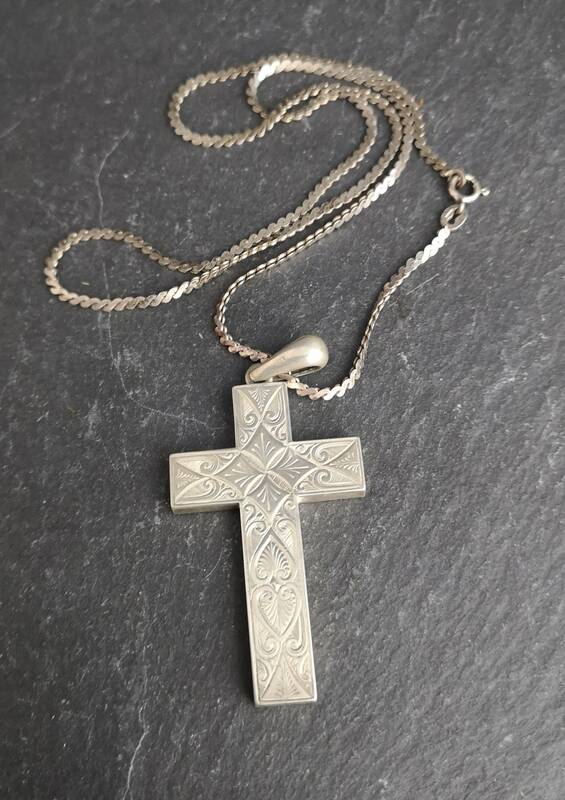 A beautiful Victorian crucifix necklace.